An analysis of the Arimitsu case indicates that the Hague Convention is unworkable in Japan under current laws and procedures and in light of the prevailing views there concerning child custody. The facts as follows: The U.S. father and Japanese mother were married in Minnesota in 1998. They had four children, all of whom were born and raised in Minnesota. In 2014, their mother took them to Japan and retained them there without the father’s consent. In August 2015, the father commenced a Hague Convention case in Japan for the return of his children to the United States. In October 2015 the Osaka Family Court ordered that only two of the four children should be returned. In January 2016, on appeal by the father, the Osaka High Court ruled that all four children must be returned. However, the return order was never implemented. Ultimately the father filed a petition seeking “direct enforcement” of the return order. Finally, in September 2016 enforcement officers from the Nara District Court went to the place where the mother and family were living, purportedly in order to enforce the order. They failed to do so. Instead, they reported that the children had “strongly refused” to be returned to the U.S. After consulting with Japan’s Central Authority [i.e. the Ministry of Foreign Affairs of Japan, which is Japan’s designated “Central Authority” under the Convention], they declared that enforcement was not possible. Indeed, I am informed that the father attended the purported enforcement, was required to wait outside and was even then barred from seeing his children. I am informed that the father’s financial challenges were primarily caused by the enormous costs of the litigation that he had brought in an effort to secure the return of his abducted children, and that the legal fees and travel and related expenses had been greatly enhanced by the deficiencies and obstacles raised by the legal system in Japan, particularly including the requirement that he attend repeated and entirely fruitless mediation sessions in Japan. The decision of the Osaka High Court to reverse its prior return order on the ground of so-called “grave risk” to the children on the theory that that the father had suffered financial reverses subsequent to the abduction serves merely to highlight the inherent deficiencies in the Japanese system concerning the Hague Convention. All such problems stem from the fact that there is no substantial public support in Japan for the idea that when parents separate they should each have a continuing role in parenting their children. Japan signed the Convention in 2013 only because of international pressure from the United States and other countries, particularly after Christopher Savoie – one of my many clients whose children were abducted to Japan and never returned – was jailed in Japan when trying to return his children. There was considerable opposition to the treaty within Japan, driven primarily by a substantial concern that Japanese mothers might have to remain in a foreign country with their children after the breakdown of an international marriage, particularly if they had suffered abuse, had no social or governmental support or were in financial difficulty. I witnessed and participated in such debates directly, particularly at a seminar at the Japanese Ministry of Foreign Affairs and subsequently when questioned by Japanese Diet and Consular representatives in New York. Ultimately, a compromise was reached whereby Japan’s implementing legislation contained an extremely significant expansion to the grave risk exception. Article 13 of the Hague Convention provides that a requested State is not bound to order the return of an abducted child if there is a proven grave risk that the return would expose the child to physical or psychological harm or otherwise place the child in an intolerable situation.” The key elements of Article 13 (b) are that (1) the risk must be “grave;” (2) that it must be a grave risk to the child, rather than to the taking parent; and (3) that even if the grave risk is established it merely gives the court the right, in its discretion – but not the obligation – to choose not to return the child. The authoritative “Perez-Vera” report of the legislative history of the Convention appropriately warns that “a systematic invocation of the said exceptions, substituting the forum chosen by the abductor for that of the child's residence, would lead to the collapse of the whole structure of the Convention." Accordingly, courts throughout the world have held that the “grave risk” exception must be interpreted narrowly. The third special element that a Japanese court must consider in a Hague case is, “Whether or not there are circumstances that make it difficult for the petitioner or the respondent to provide care for the child in the state of habitual residence.” This “circumstance” is entirely beyond the scope of the Convention. In inviting the consideration of any factors that merely “make it difficult” for her to raise the child in the habitual residence, the Japanese law opened the door for a Japanese mother to complain about the challenges of being away from her home, her family and her friends in a foreign country, without the financial and healthcare support that the Japanese state provides to single mothers, and being required to share access to the child with someone that she does not like or trust. It was upon this circumstance that the Osaka court relied in the Arimitsu case. A separate and momentous problem with Japanese implementation of the Hague Convention is that there is quite simply no effective enforcement of Hague return orders, as the Arimitsu case firmly establishes. The issue is not particular to Hague Convention orders. The fact is that orders of the Family Courts are generally unenforceable in Japan. The parties are expected to follow such decisions voluntarily but, surprising as it may be to Western ears, there is no effective enforcement mechanism to compel compliance in Japan with Family Court orders. 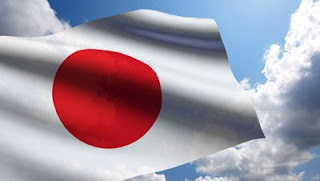 It was for this reason that the Implementing Act contained extensive terms that, for the very first time in Japan in the context of family law, make provisions for potential enforcement of court orders, but only in Hague Convention cases. However, those provisions have proven entirely unworkable. While it appears that there have been one or two actual cases, such as the Arimitsu case, in which a Japanese court actually issued a return order against a Japanese parent, there has not been one reported case in which such a return order was actually enforced after a parent’s refusal to comply. However, in a follow-up “Action Report” the State Department reported in October 2016 that matters had improved because as of July 2016 “a Japanese court compelled the return of four U.S. citizen children to the United States.” That report was absolutely wrong. As discussed, not only was the order never enforced but it was ultimately reversed based on facts that should not have formed the basis of the grave risk exception and which were in any event created as a direct result of the failure of the Japanese system to return the children expeditiously as the Hague Convention mandates. The fundamental problem in Japan is the cultural, historical and societal context. Family matters have traditionally have been outside the province of the legal system in Japan. Custody is almost always determined by the parties themselves or through self-help. Customarily, when parents separate, only one parent – now usually the mother, although it was once usually the household of the father - has sole custody of the children and the other parent has no significant access to them. Whoever has physical possession of a child generally keeps possession of the child and that, in fact, translates into custody. If one parent takes a child and that parent or that parent’s family has possession and control of the child, the legal and social system will not interfere. Indeed, any demand by a non-custodial parent for extensive visitation with a child is generally seen as being an inappropriate interference with family peace, and is often considered to be abusive. In any event, since Family Court orders are effectively unenforceable, custodial parents are often understandably apprehensive of unsupervised visitation. There is also a cultural bias in favor of raising Japanese children in Japan. While international marriages have increased, they have primarily been marriages of men to Japanese women. This was the focus of the debate in Japan concerning the Convention. The critical concern there was that Japanese mothers in foreign countries would be abandoned and mistreated by their Western husbands and Western courts, cut off from financial support, and virtually imprisoned in foreign countries away from their Japanese family, friends, language and culture. It was exactly in order to allow Japanese women who return to Japan after the breakdown of an international marriage to stay in Japan with their children that a very substantially-expanded “risk” defense was included in the Implementing Act. Without that protective measure Japan would not have adopted the Convention. Some of my colleagues in Japan had hoped that Japan’s adoption of the Hague Convention would encourage further discussion there about the benefits of a sharing of parental involvement in the lives of children after the parents separate, and that other changes in the family law would follow. However, while there has been some change, there has not been a general shift in the view that, after a divorce, one parent is better than two. Visitation is now a little more common but it is still primarily dependent on parental agreement and even then is usually only occasional and is often supervised. I have never heard of any case in which any Japanese court has ever ordered visitation outside Japan. In any event, any such order would be unenforceable. In conclusion, the Arimitsu case should serve as a warning. While the Family Court’s reversal of the return order will perhaps be overturned on appeal, the devastation of family life resulting from the unremedied abduction has already occurred. The children have lived for the last 2 ½ years of their lives away from their birthplace and habitual residence and away from their father. The legal system in Japan has failed them and their father and has rewarded the mother’s abduction and her refusal to follow the orders of a Japanese court. Unfortunately, this was completely predictable. Japanese society has never been committed to the goals of the Convention. The implementing legislation and the lack of meaningful enforcement mean that it remains impossible for a left-behind foreign parent who faces the determined opposition of the Japanese abducting parent to secure the return of his abducted child from Japan.